By Mike Harvey, published by The S.U. Carburetter Co – £20.00 plus Post and Packing. 2015 Review by Malcolm Jeal. 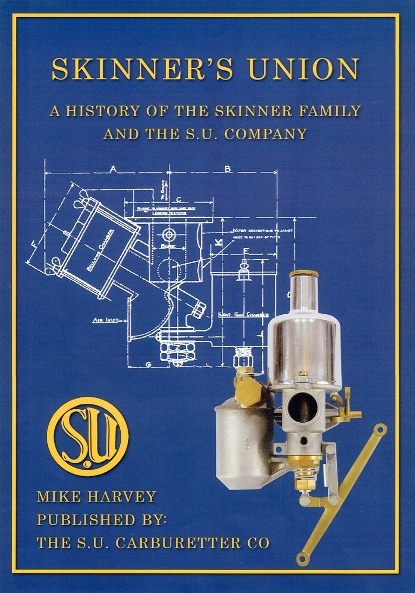 Credit is due to Mike Harvey for producing the excellent content and to John Burlen, whose firm these days owns the S.U. Carburetter Company, for producing the book itself to such a high standard. The very modest purchase price quoted of £20.00 is indeed correct – the quality of the end product in purely financial terms is way above this figure. Visit www.sucarb.co.uk or phone 01722 412500 to purchase a copy – it does have a ‘Part Number’: ALT 9527.